Dan Gurney (R) with A.J. Foyt at Le Mans in 1967. Photo courtesy Ford Motor Company. 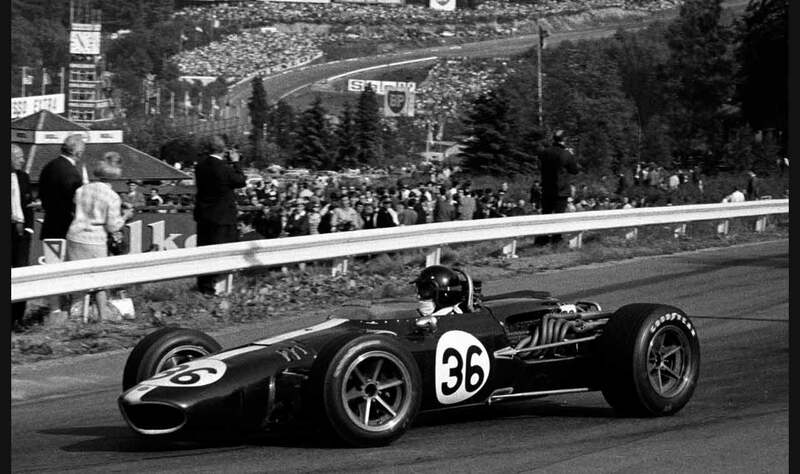 If Dan Gurney wasn’t the greatest American racing driver of all time, he was certainly in the running for the honor. With successes in Formula One, Indy Car, NASCAR, IMSA and Sports Car Club of America competition, he achieved 51 wins and 47 podium finishes over a career that saw him pilot 51 makes and over 100 different models. 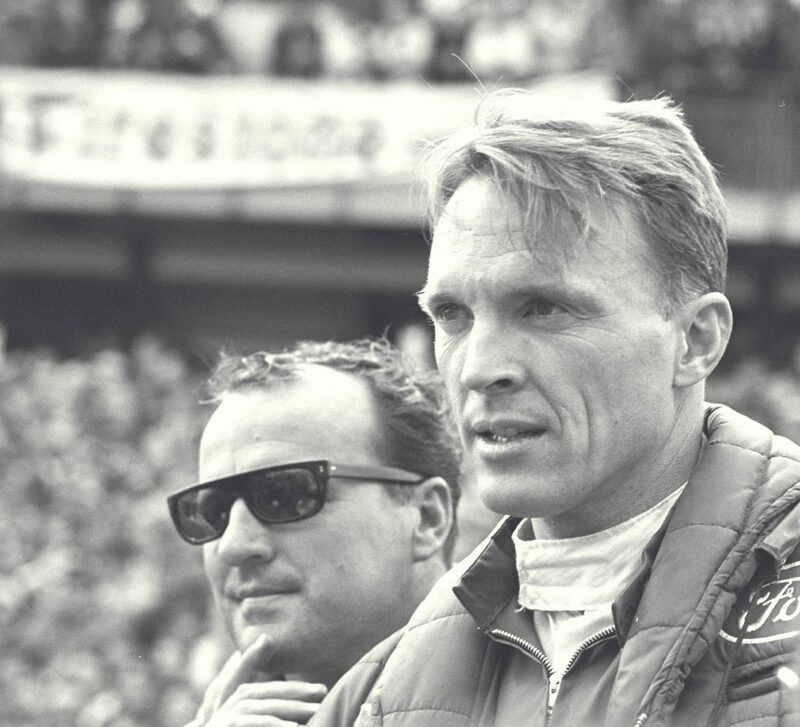 On Sunday, January 14, Dan Gurney died of complications from pneumonia, age 86. Gurney’s Formula One experience alone would be the envy of most drivers, as he earned seven victories (including four at Grand Prix World Championship events) from 1959 to 1970. In the process, he also amassed 18 podium finishes, but perhaps his finest moment came at the 1967 Grand Prix of Belgium. Gurney won the race in an Eagle Gurney-Weslake V-12, becoming the only American to race and win in Formula One with a car of his own construction. The 1967 Belgian Grand Prix. Photo courtesy AAR. He was successful in Indy Car racing as well, both as a driver and constructor. From 1962 to 1970, Gurney took seven wins in Indy Car competition, though he failed to win the sport’s ultimate race, the Indianapolis 500. Gurney finished in second place at the Indy 500 twice, in 1968 (losing to Bobby Unser in a Gurney-built Eagle) and in 1969 (losing to Mario Andretti). A Gurney-built Eagle Indy Car would see the Indianapolis 500 winners circle again in 1973, driven by Gordon Johncock. Stock car racing may have been the best barometer of Gurney’s diversity as a driver. While others struggled in the transition from open wheel cars to NASCAR Winston Cup (now Sprint Cup) cars, Gurney proved to be the driver to beat at California’s Riverside Raceway, winning races for Holman-Moody in 1963 and the Wood Brothers in 1964, 1965, 1966 and 1968. In 1967, Gurney drove at Riverside for Bill Stroppe and crew chief Bud Moore, but retired with mechanical trouble during the race. Gurney, on the hood, gets a ride to the 1967 Le Mans winner’s circle from A.J. Foyt. Photo courtesy Ford Motor Company. In 1966, Gurney joined Ford’s efforts to develop and campaign the GT40, meant to beat Ferrari at Le Mans, essentially in its own European backyard. 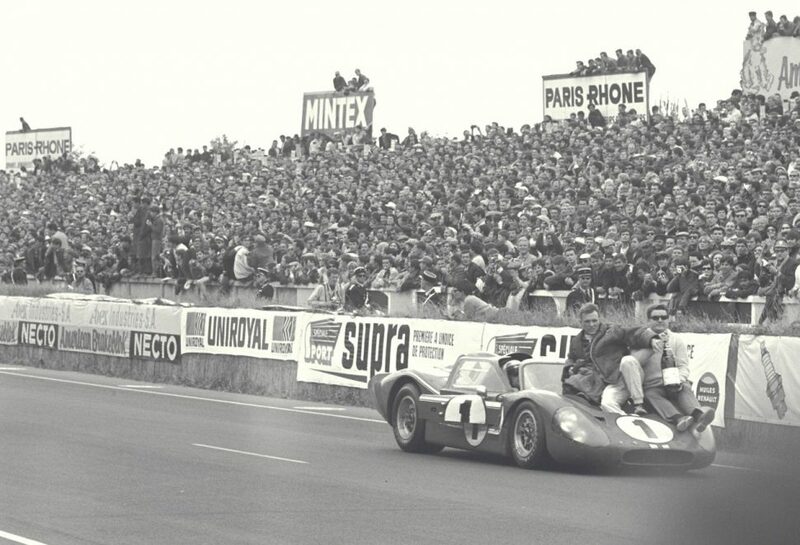 Though he put the on the pole for the 1966 24 hours of Le Mans, the victory would go to Shelby American drivers Bruce McLaren and Chris Amon, piloting the number 2 GT40 Mk II. The following year, Gurney partnered with driver A.J. Foyt to give the Shelby American-prepared Ford GT40 (this time a Mk IV) its second Le Mans victory. Atop the podium following the race, Gurney is credited with inventing the staple of modern motorsports podium ceremonies – the champagne shower. After retiring as a driver in 1970, Gurney turned his attention to his company, All American Racers, which built and prepared cars for a variety of open wheel and sports car series. The AAR Eagle Mark III, powered by a turbocharged Toyota engine, proved so dominant in IMSA GTP competition in the early 1990s that the car is often credited with single-handedly killing the GTP class. After amassing nine wins in 13 races during the 1992 season, the AAR Eagle Mk III returned in 1993 to win every single event entered. A natural tinkerer, Gurney was credited with adding a wicker bill (now called a “Gurney Flap”) to the trailing edge of a race car’s rear wing to improve aerodynamics, and even found a way to re-invent the motorcycle with his low center of gravity Gurney Alligator, which reportedly offered superior handling to a conventional motorcycle of similar displacement. In more recent year, he was involved with the construction of the radical DeltaWing race car, which proved to be a fan favorite if not a competitive success.